Sir after plug in to pc and restoring every thing and all. wat should i do next, how to turn on the phone to use in the normal state. Will i be able to point out the desired firmware by Shift+Click???? If you complete the restore process normally, the device will reboot. However, if you need to exit from DFU mode without using it, simply hold home+power for 10 seconds, let go of both buttons. The device will restart. If it does not, hold the power button for a second to power it on. I foolishly but a passcode on my iphone and have forgotten it. Whilst trying to guess it I have now disabled my phone and even when connected to itunes it does not appear in the left hand column unless I enter the code. I've done this before and entered DFU mode and wiped the iphone before restoring it. However this time I have not only broken the home button but it is completely missing. I have been using the on screen home button. Hence my problem is I cannot enter DFU mode. I have googled this quite a bit and have so far tried redsn0w. 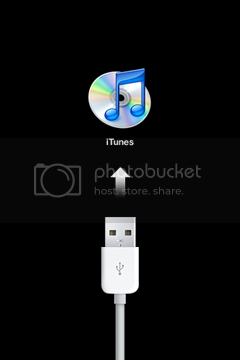 I followed the instructions through and got as far as creating the IPSW file however when I need to connect the phone to itunes to use restore the iphone will not appear in the left hand column. I get a message iphone cannot be accessed until passcode is entered, I press cancel and nothing happens. The phone says iphone disabled connect to itunes and itunes is just my music list. Are there any other solutions I can try?